The key to zombie/human relations is sharing. Kitchen gadgets can help. Both zombies and humans are in need of good quality storage solutions. Zombies need a place to keep their (your) brains, and the not-undead need a place to store pickles. 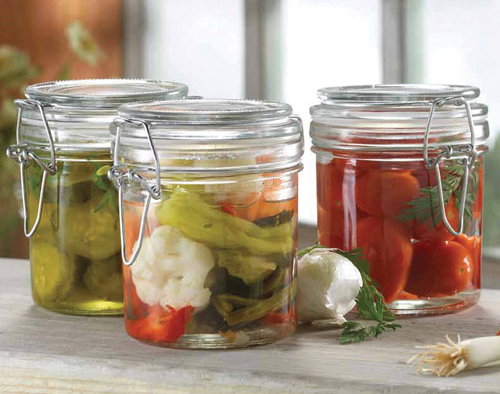 Therefore, these Mason Preserving Jars are a win/win. When the brains are all gone, the good zombie neighbor can lend their set out. Especially if the neighbor in question is the other segment of the population in need of quality brain storage, the evil mad scientists. 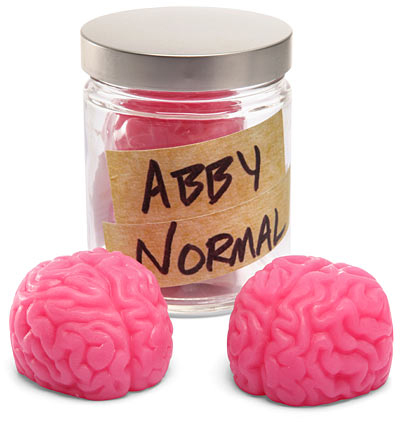 Honestly, Abby Normal Soap In A Jar deserves a better fate.